I am sure you’ve spent many enjoyable hours going through a list of websites whose designs are truly inspirational, and have pointed to a particular design and thought, “I want a website, which looks just like that.” The harsh truth is that the website design you’ve fallen in love with probably did not come cheap. Yes, the unpopular truth about impressive looking and extremely functional website design is that it is expensive. If you’ve the money to pay for it, you can get your hands on a website that is truly out of this world. That’s because Web designers and agencies that are capable of coming up with inspirational designs will ask you to pay through your nose for such designs. Talent, experience and skill sets come at a cost. Are you willing to pay for them? But what if you want a design that’s not extraordinary by any stretch of the imagination, but isn’t ordinary either? Does that come cheap? Well, here’s another harsh truth to wake you up from your reverie. If you’re hiring a designer to create a website for you and want to pick somebody that is a mix of talent and affordability, you’ve a task in front of you. You will have to spend quite a bit of time searching for a designing agency that is not only an expert in Web design but also willing to work within your budget. But don’t worry, if you want to avoid this scenario, and what’s more be in absolute charge of your website design, you have a great solution on hand – it is called a website builder. This easy to use software will have your website up and running in no time, and it will be a website that satisfies your precise requirements perfectly. If you are talking affordable Web design, a website builder should be right up there at the top of your list. All you need to pay is a nominal subscription fee (in most cases) and you can use the website builder. Before you actually decide to use a website builder, why not compare the costs of using this platform with that of hiring a Web designer. You will find that a website builder, more often than not, will emerge as the cheaper option. “Hey but I am a tech illiterate, how do I use a website builder?” this is a good question, but you don’t need to be tech savvy in order to use a website builder. The features and functionalities of this software are self-explanatory; if you are good at ‘selection’ and ‘drag and drop’ you’ve got it covered. All you have to do is pick from the available templates, modify them to suit your needs and requirements and your website is ready for use. Do you know what can put a spanner in the works of even the most well-thought through Web design process? It is lack of collaboration between the client and the designer. This can result in miscommunication which usually means Web designers and clients are not on the same page. At the end of the day, the website that is a product of this process might never be able to come good on client expectations. You will face no such problems with a website builder. You are basically in charge of designing your own site, so you decide how you want to give shape to the design. There is zero miscommunication or lack of collaboration. The worst kept secret in the website design industry is that it is difficult to stick to a project budget. No doubt there are businesses sticking to their Web design budget, but a large number of them can’t. You might have a particular budget in mind when you start searching for a Web designer, but you might find there is no designer willing to work within the budget you’ve in mind. What do you do? Rather than dropping the idea of building a website, you increase your budget. You don’t want to increase your budget, but are forced to. But, with a website builder you can actually stick to your guns; there is absolutely no need to go overboard with your budget. You can stick to it without any problems whatsoever. The use of a website builder helps you focus on all necessary design elements and ignore the rest. There is a section of people who day dream about a website that has a truckload of visually striking elements; the problem is not with this day dream, the problem is that they don’t seem to care whether these elements can bring any worthwhile benefit to the table. With a website builder, you can do a bit of soul searching as you can’t give full vent to your overly fertile imagination. This makes for a well-grounded approach toward website design. You only add visuals and features that will guarantee tangible results. There is very little ambiguity in your mind. Imagine a scenario wherein your competitors have websites and you don’t. The need of the hour is to get up and running with your website in a hurry. Any delay and you lose customers. What do you do? Your first instinct is to search for a Web designer, but the agency you choose tells you the earliest they can deliver your website is two weeks. But, that’s like a lifetime for you and your efforts to increase and hold on to your customer base. You now have two options – 1. Reconcile to the fact that you won’t get your hands on a website in hurry and 2. Choose a website builder. If you choose the second option, you can design a website and start using it in double quick time. What’s more, the website will deliver on most of your needs and requirements. So, what it is going to be? You decide. One reason why people are scared of using website builders is they think visitors can make out the difference between a website designed with the help of these platforms and the ones designed by Web designers. Perish the thought. The fact is there is very little to choose from between both these types of sites. Visitors, if at all, can only make out the difference if they have relevant technical knowledge and are actual searching for such differences. Nobody has the time to do all that. All your website visitors are looking for is information; they are not looking to dissect your site. There are 2.1 billion mobile Internet users in the world. A section of these users is going to access your website through their mobile devices. The question is: Will your website render effectively on their devices? This question can only be answered in the affirmative if your website is responsive. But responsive Web design doesn’t come cheap. Wait! You’ve got a website builder to help you out. The best website builders allow you to design a website that is responsive which means it delivers the same visual and functional performance on all devices irrespective of their screen size. And you don’t have to pay extra. Designing one website involves “backbreaking labor” on the part of the designers and collaborative headache on the part of the client; imagine the state of affairs if you don’t want just one website designed, but two. Apart from the budget blues that you’ll need to sort out, keeping track of the design process of both websites will be an uphill battle. Yes, you could design one and then design the other, but that still doesn’t mean it is easy. And, what happens if you need to keep coming up with new websites regularly? Can’t even imagine the prospect, can you? 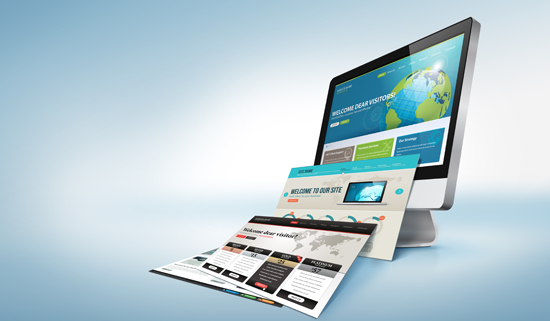 With a website builder, you can design as many websites as you want, quickly and conveniently. There is zero pressure and you can meet your deadline every single time. The Web design process is taxing. You are constantly trying to second guess your target audiences and wondering whether the design agency you’ve hired is doing its job properly. The use of website builders helps you stay away from this stress as it makes designing a website an exercise in simplicity. Why deal with all the stress associated with website design when you have a friend in website builder who helps you build websites you can be proud of and that too – stress free! Pratik Dholakiya is the co-founder & VP of marketing of E2M and OnlyDesign. He’s passionate about fitness, start-ups, entrepreneurship & all things digital marketing. You can find him on twitter @DholakiyaPratik to discuss on any of these topics.